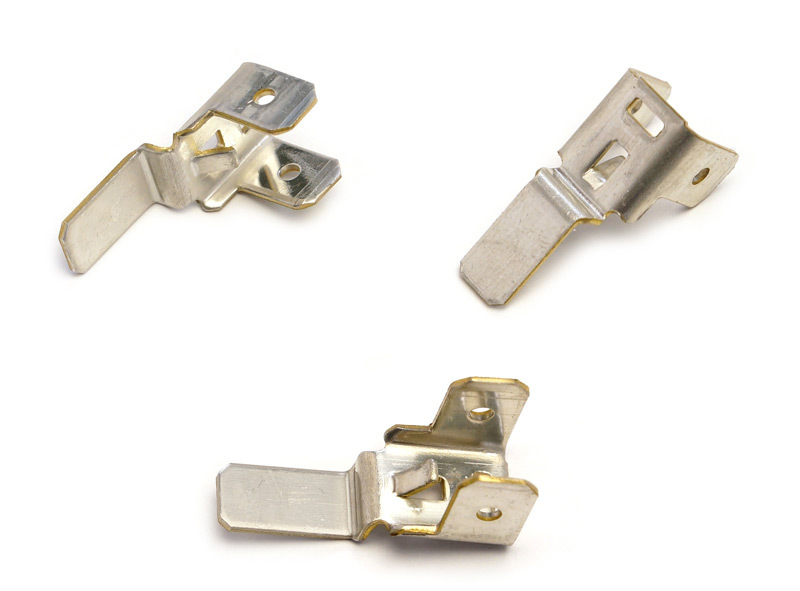 This brass bus strip is used in the electrical industry with a Terminal Block. We began by custom designing and building tooling, specifically for the client's stamping project. Utilizing a #28 US multi-slide machine, we slide form stamped the .438" long, .275" wide, .406" high and .032" thick bus strips, all while holding tightest tolerances of ±.003". After thorough testing and inspection, we shipped 1,500,000 parts of the 0.011844 lb., 260 brass bus strips to the client's Mentor, Ohio location annually. To learn more about this project, see the details below. For more information about our other services, contact Superfine today. 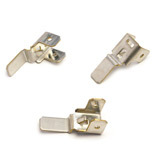 This brass bus strip is used within a Terminal Block application. Although we utilized low cost tooling we were able to meet a precision tolerance of .003"